Creativity and doing things differently is at the core of every project I’ve launched. Many of these projects have their own strong branding to them, whether they are ran through an organisation or were a stand alone project. Learn more about these projects and the impact they have had below. Exposure Lifestyles was a complete ‘for the love of it project’, a chance for me to document the music world of New Zealand and meet some of the most inspiring humans around. It was started as my final assignment for my 9 month graphic design course. I went on to produce seven issues in the end, often printing 4,000 copies each issue to give away for free! Producing the magazine saw me working with many businesses on the advertising side, plus getting to commission incredible cover artists, such as Taika Waititi, Mephisto Jones, DRYPNZ and more. We also featured a huge collection of interviews and images of inspiring Kiwis, including; Ans Westra, Warren Maxwell, Ladi6, Dave Dobbyn, Keisha Castle-Hughes, Chris Graham, Bret McKenzie and many more. Exposure Lifestyles was also where a number of well known musicians were first featured in a New Zealand publication. 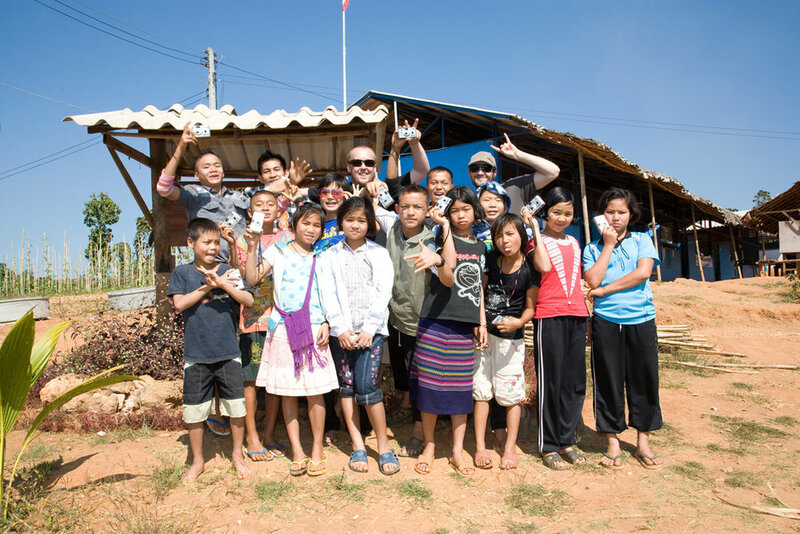 The Good Karma Project was created after I learnt about the needs of migrant and refugee children on the Thai/Burma border. 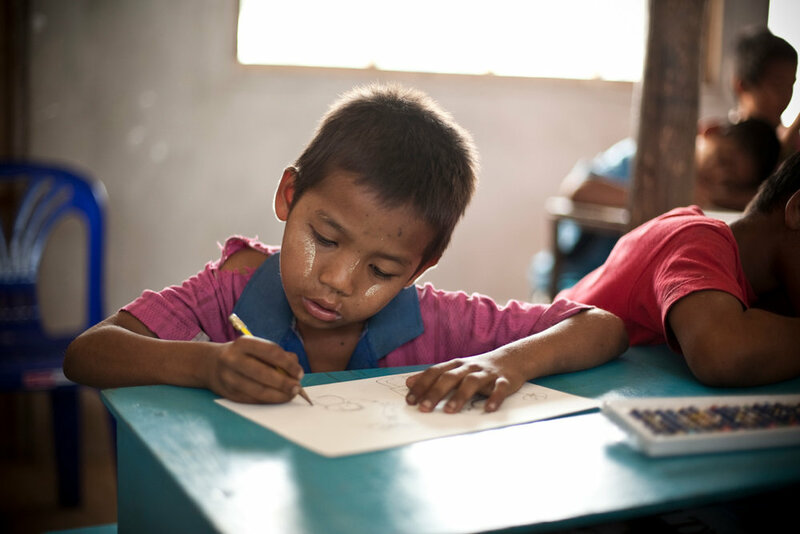 It was a way of using my photography, design and my creative contacts to raise funds to help support the children in their education and nutritional needs on the border. 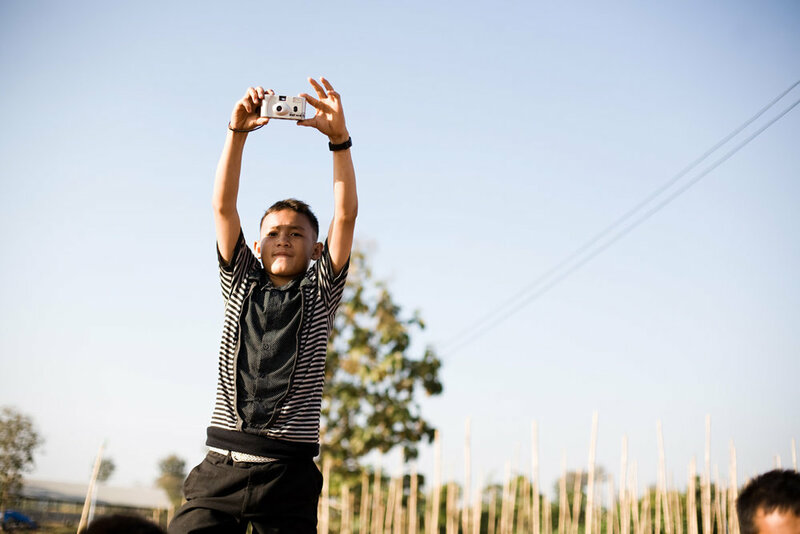 A friend joined me for the six week project on the border, where we taught the children photography and art during their holiday break. The artwork was brought back to New Zealand, where we worked with around 20 artists, who created their own pieces of work inspired by a kid’s artwork that had moved them. The artists included; Misery, Flox, TrustMe, DRYPNZ, Peter Campbell, Sarah Maxey, Otis Chamberlain and more. $10,000 was raised on the exhibition opening night to support the children. We also produced an issue of Exposure Lifestyles Magazine inspired by the project and I had my first dive into video production with this 10 minute documentary. Little Lotus Project was the sister project to The Good Karma Project. Auckland based artist, Misery, had been part of our initial project and asked how she could join us on another trip, thus Little Lotus Project was born. Our first trip saw four of us fundraising our way out to the Thai/Burma border to work with the kids on creative projects and to help them paint their new school building that SpinningTop had part funded. Many more artists heard about the project and the following year 13 of us made the trip to the border, this time the mix of artists were from USA, Singapore, Australia and New Zealand. We worked with the children on a variety of projects and also created an EP inspired by the children. Gareth Moon also joined us to document the project, in a stunning three piece documentary that you can view here. The end result of the project had the same focus as The Good Karma Project. We asked artists to create works inspired by the kids art, artists involved included; Michel Tuffery, Askew One, Flox, Jordan Barnes, Sofia Minson, James Robinson, Component, Gina Kiel and more. View all the incredible artwork here. 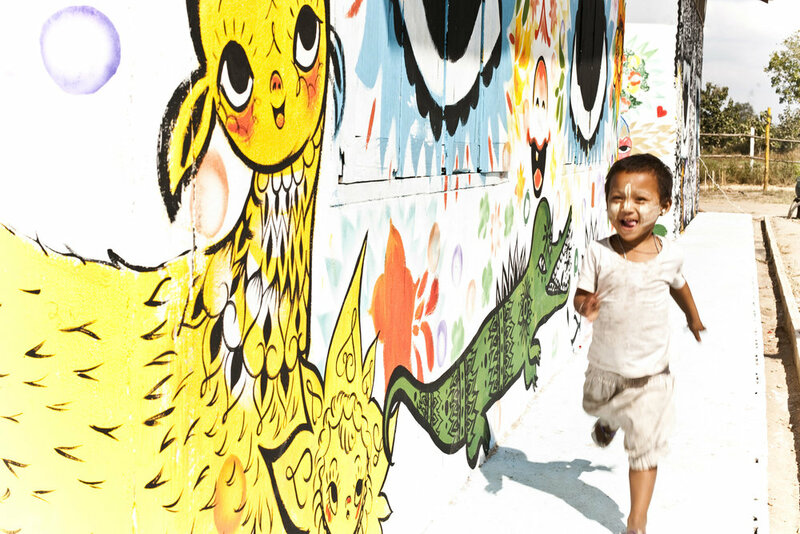 $40,000 was raised from the exhibition, once again supporting the children with their education and nutritional needs. 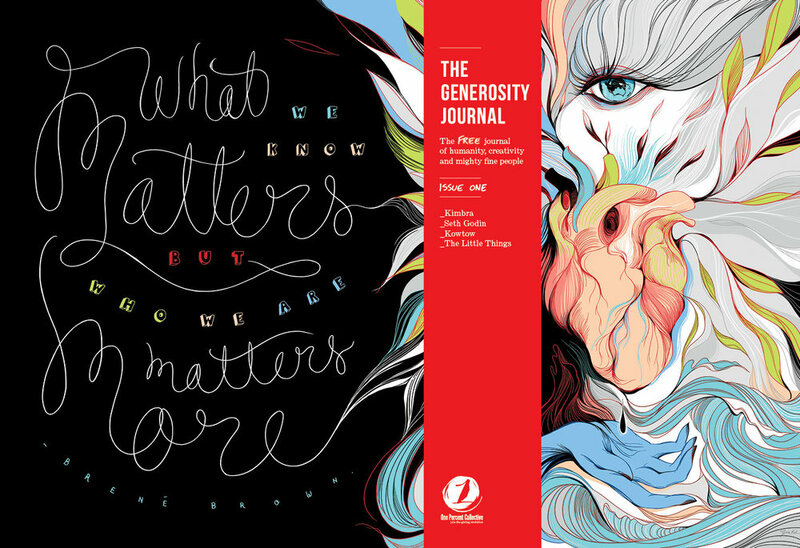 The Generosity Journal is created by One Percent Collective. 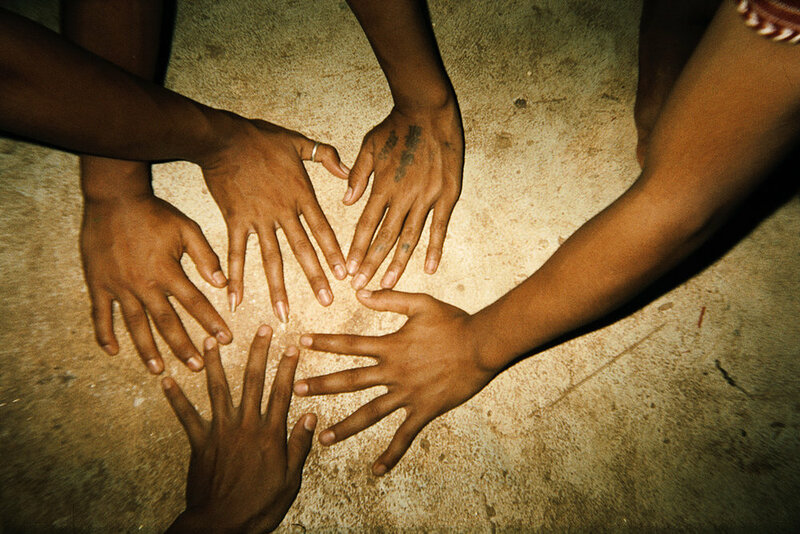 It is a way for us to share Collective stories through the joy of print. 4,500 copies are printed each issue and are distributed freely mainly around Wellington and Auckland. We have produced five issues of the publication, working with incredible creatives over the years, including; Gina Kiel, Toby Morris, Sean Duffell, Natasha Vermeulen, Cracked Ink, Greg Straight, Goodfolk and many more. My role as editor sees me working on content ideas, management of contributors, draft design layout, print management and distribution. The features and interviews in the publication allow us to explore the world of generosity and what part it plays in our lives. In a noisy digital world, it also allows us the chance to break through the noise and go back to quality paper, meaning the publication sticks around on coffee tables for years to come. All content also features online.